Welcome to the Palm Springs (CA) Branch of AAUW! 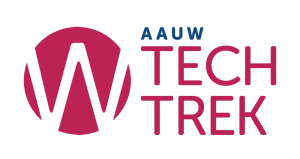 The AAUW founded in 1881, is the nation’s oldest and largest organization working to promote education and equity for women and girls. The Palm Springs branch was organized on January 11, 1949. It is one of over 1,000 branches nationwide, representing more than 170,000 members and supporters and 800 college and university partners who seek personal lifelong development and advocate social changes and legal policy changes. AAUW contributes to a more promising future and provides a powerful voice for women and girls – a voice that cannot and will not be ignored. Lucky Coachella Valley eighth grade girls can thank the Palm Springs chapter of the American Association of University Women for helping to launch their careers in science through a unique camp opportunity. That’s because when these local women set their sights on something, they are unstoppable. Unstoppable also characterizes the careers of these AAUW members. Take Sharrell Blakely. She started her career as a clinical social worker and became a leading California voice in child welfare reform, creating the Office of Child Abuse Prevention and the Pregnant and Parenting Women’s Alternative Sentencing Program. Working under five governors, she also advanced child policies through the Family and Children’s Policy Bureau and Adoptions Bureau for the state. Her accomplishments, she said, were only the means to an end — the protection and advancement of children and their families. She is an avid AAUW member who prefers, instead, to talk about the organization’s achievements. The program, California Tech Trek STEM Camp schools eighth graders in science, technology, engineering and math and is held each summer at UC Irvine. The AAUW Palm Springs Chapter has paid for 117 girls to attend in the last 15 years. The results from all camp participants speak for themselves: 82% take more science classes in high school, 91% reported an increase in self-confidence and an ability to be successful in science, 73% reported an awareness of STEM college majors and 87% reported an awareness of new STEM careers. 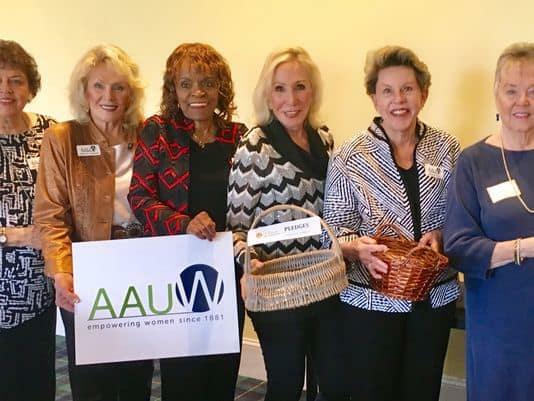 In addition to supporting girls in STEM, the AAUW Palm Springs chapter hosts monthly luncheons, book club and world affairs club, field trips and Happy Hours.